The early successes of the German forces in WW2 were, in large part, due to drug use by the troops. In the 1930’s amphetamines and methamphetamines were widely available over the counter in Germany. When the German army invaded Poland in 1939 some troops used a drug called Pervitin to stay alert and awake. Wehrmacht doctors recognised the value of the drugs in the short term and recommended them to high command. They were issued widely, but particularly to the troops most crucial to the Blitzkrieg tactics ; the tank crews and aircrews. OK 17 days is a bit of an exaggeration, but the point is valid. Each night as the French defenders lapsed into sleep, cradling their daily ration of a bottle of red wine, the Germans kept moving forward. Methamphetamines have a number of effects on the human body. As well as keeping you alert and awake they reduce the need for food (pretty handy side benefit for soldiers) and they make you fearless, and more aggressive. It turns regular soldiers into super-troopers. Mission after mission the Stukas kept bombing, the M-109’s kept strafing and the panzers kept rolling forwards. The downside of drug use is what happens in the longer term. A short fast campaign, such as that in France in 1940, was perfectly suited to drug use. In longer, drawn out actions the benefits of drug use become counterproductive. As a result the drugs didn’t work on the Russian front. In wartime military advantages tend to be short term. They are quickly copied by enemies. During the Battle of Britain the British noticed that all the shot-down Luftwaffe aircraft appeared to carry a tube of Pervitin. Analysis determined what it was and the British began to issue similar drugs to their own pilots. I often wonder how troops today are using highly sophisticated drugs to enhance performance, reduce fear, increase aggression etc. If you face a soldier in a hot situation, just how rational is he/she? 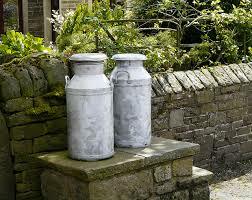 The European Milk Quota system ends today. First introduced in April 1984 under the European Union Common Agricultural Policy (CAP) the Milk Quota has stabilised (or some say stagnated) dairy produce production for 30 years. This has helped to protect dairy farming incomes, especially for smaller producers. The measure was to protect the small farmer. The big dairy companies all over Europe have been gearing up for the explosion in production that is in the offing. They will be driving sales of dairy products into non-traditional markets. Have you ever noticed that Chinese and South-Eastern Asian cuisine uses no milk, cream, cheese or butter? Watch that space! To win the international game the Irish Dairies need to ramp up production as fast, or faster than their counterparts in countries like Denmark, Poland, UK and France. In the last year and more, the savvy and efficient Dairy farmer has been gearing up for the end of the quota in a number of ways. Herd management for instance; calves are allowed to feed from the cows, production milking is restricted to one milking per day, excess heifers are kept calf-less for longer to keep them dry. Over quota milk has often ended up in slurry pits. In the last week every storage container has been filled to bursting point to hold as much production as possible for midnight on 31st March. In terms of farm management, the larger farmers have been assembling larger dairy platforms accessible to their milking facility, by buying and renting any land adjacent to their parlour. At the same time they are developing winter feed stocks by acquisition of suitable hay and silage production acreage. Within the dairy itself they have been investing in new – high intensity – milking equipment. Automated feeding and milking systems. Computer databases of the herd, recording age, weight, production, feed regimen, medical history, pedigree, behaviour etc. The dairy farm of today is a high intensity industrial plant. It is a long way from the 40 acre mixed farmer who kept a half dozen cows and delivered a couple of churns to the creamery every other day. But when you have thousands of acres of countryside managed by a handful of industrial farmers, what do you lose? Community? Poverty? A vibrant countryside population? A low income trap? Truth is, we will see a lot more cows and a lot less people. That can make cheap milk a very expensive commodity.